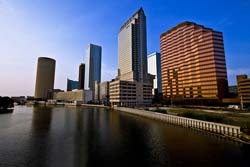 (Tampa, Florida) - The 22-story, 387,000 sq. 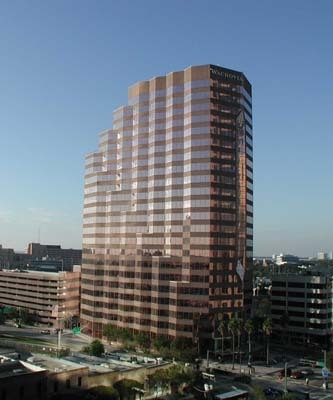 ft. high rise at 100 South Ashley Drive is known as one of the friendliest and most easily accessible buildings in Tampa, Florida. 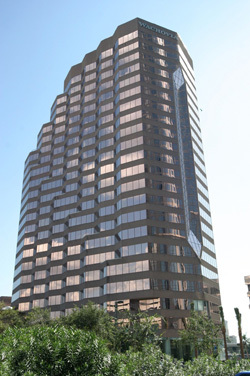 Built in 1984, the Wachovia Bank Building changed Tampa’s definition of Class A office space as dramatically as it altered the skyline. In the ensuing years, amenity enhancements ensured that the financial center truly reflected comfort, convenience, and service in the heart of downtown Tampa’s central business district. Unfortunately, the building management system had not kept pace with the today’s energy-intensive needs and complex indoor environmental concerns. With this in mind, owners of the Wachovia Bank Building looked to ABC Controls®, a local energy-management firm and a KMC Controls® authorized representative, to assess and retrofit their existing computer-controlled building automation system. “The building owners were looking to improve control and operational efficiency of their building,” commented Jody Byers, the General Manager of ABC’s controls division. “Our assessment found that the building was being managed with an antiquated DOS-based system communicating with over 350 unitary controllers that had become obsolete. The system was making routine system management complicated and laborious for facility personnel,” he added. Mindful of both the operational goals of the owners and their desire for superior ENERGY STAR® performance, ABC began the retrofit of the existing controls system and integrated a number of subsystems associated with HVAC, lighting, and electrical distribution. Using KMC BACnet® Advanced Application Controllers, ABC integrated 310 variable air volume terminals, 22 air handling units, 3 chillers, 10 fan coil units, and 2 cooling towers. Variable Frequency Drives by ABB also contributed greatly to the achievement of the desired goals. Further, with the installation of KMC’s TotalControl software, coupled with KMC BACnet routers, ABC provided an easy-to-use, web-based workstation that facility personnel were eager to wrap their hands around. The KMC system monitors and controls nearly 3,600 physical inputs and outputs which are connected to the controllers residing on the BACnet Ethernet and MS/TP networks. ABC also configured a powerful feature in TotalControl that shows facility personnel peak demand trends on energy usage. It allows them to then sequence unit operations to minimize energy consumption while maximizing tenant comfort. The system also monitors CO² levels and was designed to sequence start-up of equipment to prevent overloading. Since the retrofit installation, owners of the Wachovia Bank Building and its tenants have realized an average of 10% energy savings each month over previous energy bills. Savings of over 1,000 kWh per day are common with the new system. In fact, the building has been ENERGY STAR labeled with a rating of 94, and has recently received LEED® Gold certification. As the technology-driven Wachovia Bank Building evolves, the open, BACnet building automation solution will naturally evolve with it.